Hi, I’m Lynn from Lynn Minney Designs. I create accessories out of recycled materials. I am all about being thrifty and having beautiful things. While Anastasia is away for the Easter I decided to share some tips with you! 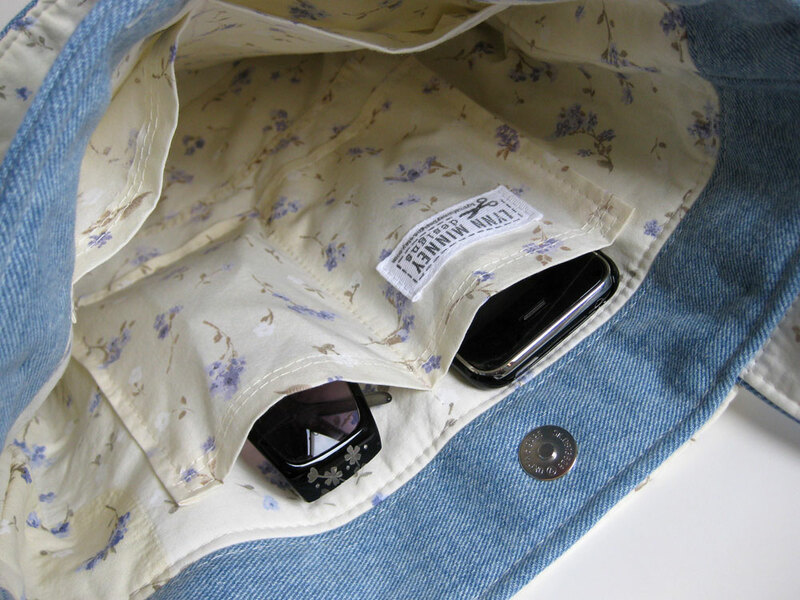 When I first opened my Etsy store I had to come up with a way to make labels for my handbags. 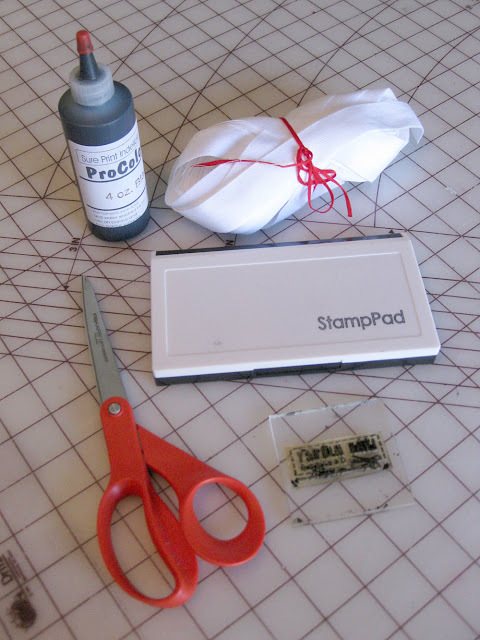 I read a blog post that suggested using cotton twill tape and a rubber stamp. So I ordered both off etsy and I was ready to start making my own. I found out the hard way that you MUST use indelible ink because it is permanent and washable unlike other inks that you can find at craft stores. The first thing I do is cut the strips of twill tape and lay them out on my table. I cut it wider than my stamp so I can turn the edges under when sewing them onto things. Otherwise, the edges will fray. You might want to put some paper under your twill tape to protect your work surface. I work on a large cutting mat to protect my table. I like to batch these by cutting out 100 at a time. I hate having to stop in the middle of a project to make one, so this saves me a lot of time and frustration! Next you will need to get out the ink and pad. Put a couple of drops on the ink pad & see if that looks like enough for your stamp. Add more if you don’t think it’s enough. Grab the stamp and scrap fabric. Press the stamp onto the inked pad. Wiggle it around to make sure the whole surface has ink on it. Place it on the scrap fabric and press firmly. Now you will be able to tell if there is enough ink on the stamp. If there isn’t then repeat steps 2 & 3. Now you can get down to business! 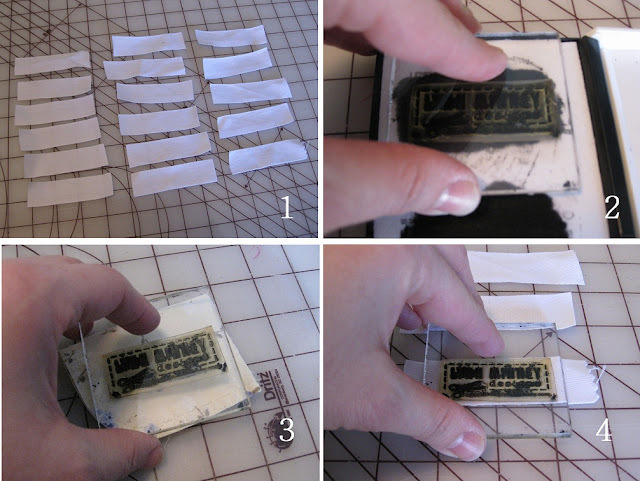 Take your inked stamp and place it on the twill tape and press firmly. Re-ink before the ink on the labels looks too light. Let them dry for an hour or so before sewing on them. Wait 24 hours before washing. Now you have some lovely handmade labels! If you have any questions please ask away! Feel free to visit my website or my store to see my latest recycled treasures! Keep up-to-date with all of my latest creations on my Facebook page or twitter.